On this past Friday, Bernie Sanders hit out at Trump over the speculation his trademark products are being created in foreign factories, allegedly on the cheap. "Given the choice between hiring American workers at a living wage or hiring much less expensive workers from China that he can exploit, Trump opts for the low-cost overseas labor day in and day out," Sanders wrote on Facebook. According to a Reuters report Wednesday, China's Jiahao Flag Co. has produced more than 90,000 "Trump 2020: Keep America Great!" banners and flags since March, and the factory has pushed up production before Trump's threatened tariffs against all Chinese-made goods kick on. The banners and flags cost about $1 each to make, according to Reuters, and a factory manager said Trump's campaign suppliers are trying to get their orders in before potential tariffs cause the price to rise. The manager, Yao Yuanyuan, told Reuters that the factory has been making Trump banners ever since the days of "Make America Great Again. Sales have been great ever since 2015," she told Reuters. One of the Trump administration's key messages to U.S. businesses and consumers has been to buy, and hire, American. President Donald Trump's re-election campaign denied Saturday that it is using Chinese manufacturers to produce campaign flags, despite recent viral images that suggest otherwise. "We have made it clear all along that all of our merchandise is 100% made in the USA," Michael Glassner, the campaign's chief operating officer, said in a statement to CNN. "Any vendor who claims to have a relationship with us otherwise is lying or violating our protected trademark rights." "This applies to all of the recent fake news about Made in China products for the 2020 campaign," he said. 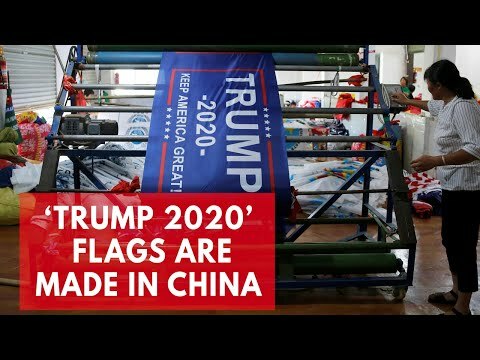 Reuters reported this week that Jiahao Flag Co Ltd, a company located in eastern China, has been turning out tens of thousands of red, white and blue "Trump 2020 Keep America Great" banners since March. A company manager told Reuters that she believes the US-China trade war was spurring the larger than normal production numbers in an effort to avoid looming tariff hikes. The manager also said the buyers are located within China and abroad, and she didn't know whether they were affiliated with Trump's official campaign or the Republican Party. CNN reported earlier this month on an NPR story that said the owner of another factory in a different Chinese province said his company is making flags for Trump's re-election campaign. The White House did not immediately respond to CNN's request for comment at the time. The NPR report came just days before the two countries slapped tariffs on $34 billion of each other's exports. The Trump administration is also preparing another round of tariffs on Chinese goods worth $200 billion, it announced earlier this month. Yao Yuanyuan, the manager of Jiahao Flag Co Ltd, told Reuters that she believes her company has been producing so many flags because the tariffs haven't gone up yet. "They are preparing in advance, they are taking advantage of the fact that the tariffs haven't gone up yet, with lower prices now." Yao posited that an escalation of the trade spat would affect her price advantage, which would then prevent the company from taking more orders. "Everyone can have a patriotic heart but this won't improve his economy." 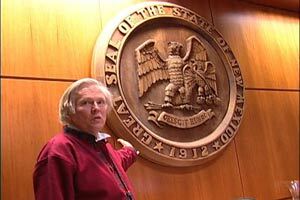 CNN's Sophie Tatum and Sarah Westwood contributed to this report.